He is the director and soul of Naturalwalks. He has turned his passion for nature into his profession. 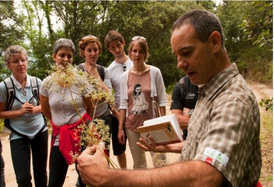 He is a consultant and biologist in botany with more than 20 years of experience in botany and the environment, especially related to the use of plants, algae and edible fungi, relating to gastronomy, health and the development of ecotourism projects and activities. 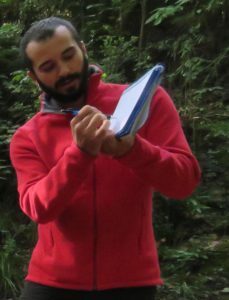 Since 2014, he has been an Interpret Europe trainer and has worked mainly between Europe and Latin America, where he transmits through his experience in the field, the bases of the profession of nature guiding and the use of heritage interpretation tools. Joan has a love affair with nature. He dedicates all of his professional activity and free time to different areas related to nature. Trained in natural resource management and actively engaged in landscape conservation, organic farming and the respectful interaction with the environment in leisure, business or sports. As a Naturalwalks guide, he offers a multidisciplinary vision and the vocation of an explorer to spark curiosity and to discover what lies beyond that mountain, under that stone, or inside that flower. Attracted by wildlife since her childhood, she earned a degree in biology and later specialized in wildlife nutrition. For more than 20 years she has worked as a nutritionist for different national and international zoos and has formulated diets for all types of animals. 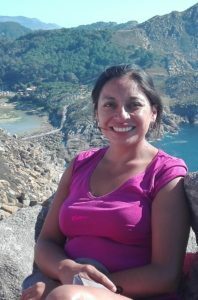 Within her specialty she has participated in conservation projects of many threatened species of the Iberian Peninsula. She has also participated as a speaker in many conferences and courses worldwide. Since a few years ago, she performs interpretative routes for both school children and the general public. She enjoys sharing her passion and her goal is to awaken curiosity and promote respect towards nature and the environment in general. Helena brings her zoological approach to Naturalwalks. 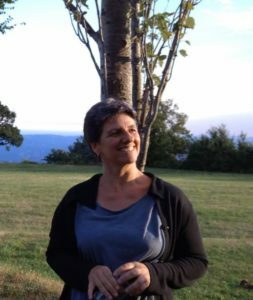 Consultant, who has dedicated more than 10 years of her professional practice in the design and execution of Policies, Plans and sustainable tourism projects and other environmental businesses. Trained as Ecologist at the University Pontificia Javeriana de Colombia and with a Master’s in Social Politics from the same university. She has also taken courses related to tourism in natural areas in Costa Rica, Bolivia and Japan. Her commitment to the conservation of natural spaces and the development of memorable and sustainable experiences for all, are qualities that are combined with the mission of Naturalwalks. Jessica is responsible for the commercial strategy, sales and communication for Naturalwalks. A native of San Francisco, she likes to hike and spend time in nature. Double undergraduate degrees in Journalism and Spanish, with a Masters in Management of Tourism Innovation with a specialty Heritage Culinary and Gastronomic, for which she came to Barcelona in 2013. At the same time she specialized in the development of ecotourism products and gastronomy. 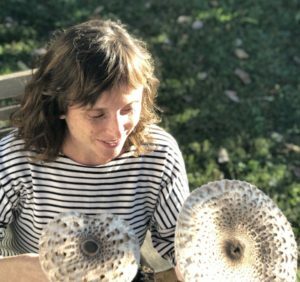 Jessica brings her passion for travel, nature and Mediterranean gastronomy to Naturalwalks as well as her creativity & curiosity due to her training as a journalist. Trained geologist and passionate about interpretation and the divulgation of natural heritage. He is an Interpretative Nature & Mountaineering Guide, specialised in eco-tourism activities. In spite of being from Barcelona, since he was very young he spent much of his free time in nature, which lead him to focus his professional life in this field. When not working as a guide, you can find him doing any kind of outdoor activity, always observing his surroundings and paying special attention to the natural world that surrounds him. In the Naturalwalks team, he contributes his knowledge of geology and the interaction of this in the other fields. Consultant and advisor in design and execution of strategies and tourism policies, planning and sustainable tourism projects with emphasis in conservation and development of natural and rural environments. Degree in Tourism Administration (Peru) with a Master’s Degree in Environmental Management and Ecotourism (Costa Rica) and Management of Protected Natural Spaces (Spain). Her experience focuses on the development and implementation of innovative tourism products and the management of touristic destinations in natural and rural environments. 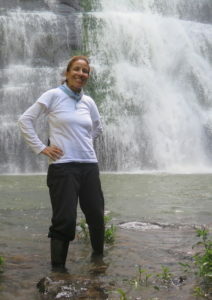 Therefore, her contribution to Naturalwalks focuses on the knowledge of the diverse cultural and environmental realities of this region, as well as her capacity to establish new professional ties that contribute to the sustainability of destinations and the identification of opportunities for continuous improvement in the tourism sector of the region. Naturalwalks has its team of Nature guides. All the team has a proven track record in their specialty (Biology, Geology, Environment, etc. ), they have specialized training in Heritage Interpretation certified by Interpret Europe and they speak English as a working language.